The era of formed aluminum Apple notebooks has come to an end. The new 15″ MacBook Pro (MBP) is carved from a 2.5 lb. block of solid aluminum. The result is a quarter-pound enclosure – and 2.25 lb. of aluminum that’s recycled to make more enclosures. It’s even thinner, the first time Apple has built a pro notebook less than one inch thick. Despite that, it has a slightly larger footprint and weighs a bit more than the model it replaces. The new design puts all the ports (and a battery indicator) on the left side, leaving the right side for the SATA SuperDrive (this is the first time Apple has used a SATA optical drive in a MacBook). The MBP is Apple’s first notebook computer with two graphics processors – the GeForce 9600M GT and the brand new GeForce 9400M, which combines a graphics processor (with 16 or 32 cores!) and its supporting chipset on a single die. There’s a Mini DisplayPort, which is a new industry standard. The 9600M has its own dedicated video memory (256 MB on the 2.0 GHz MBP, 512 MB on the faster model), while the 9400M uses 256 MB of system memory (add 16 MB when used with an external display). Apple does not allow the two GPUs to be used concurrently, and you have to log out to switch between them. The new glass trackpad is 39% bigger than the old one and supports 1-, 2-, 3-, and 4-finger gestures. The entire trackpad also functions as the mouse button. The new MBP uses the same keyboard as the MacBook Air, complete with backlighting. The black keys look sharp with the aluminum enclosure. Apple has discontinued matte displays; the new MacBook Pro only comes with a glossy screen. The new model comes in 2.4 GHz and 2.53 GHz versions, along with a 2.8 GHz build-to-order option. 250 and 320 GB hard drives are standard. 2 GB of RAM is standard on the 2.4 GHz model, 4 GB on the faster configurations (6 GB* is the maximum the MBP supports). Memory and the hard drive are easily accessed from the bottom of the computer. This was the last 15″ MacBook Pro to include an ExpressCard/34 expansion slot. Although it is not officially supported, the Late 2008 MacBook Pro can run macOS Sierra using Colin Mistr’s Sierra Patch Tool. See our macOS Sierra page for more details and a link. Battery life is claimed to be 5 hours of wireless productivity. Join our MacBook Group of MacBooks Forum. introduced 2008.10.14 at US$1,999 (2.4 GHz, 250 GB hard drive, 2 GB RAM) and US$2,499 (2.53 GHz, 320 GB hard drive, 4 GB RAM); add $300 to upgrade the 2.53 GHz model to 2.8 GHz; revised 2009.03.03 with 2.66 GHz at US$2,499 and 2.93 GHz build-to-order option; replaced by faster model 2009.06.08.
requires Mac OS X 10.5.5 Leopard through 10.11 El Capitan, macOS Sierra via patch tool – see macOS Sierra on Low End Macs. * Although Apple officially supports 4 GB of RAM, users early on discovered that 6 GB worked reliably without issues, and while 8 GB could be installed, if any app used more than 6 GB, there were significant slowdowns. The Late 2008 MacBook Pro will reliably support 8 GB only with the later version of EFI Firmware Update 1.8 (or newer) installed and Mac OS X 10.6.6. or newer. 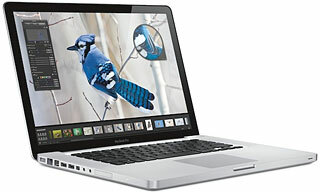 See Firmware Update Supports 8 GB in Unibody MacBook and Late 2008 15″ MacBook Pro for more information. The June 2009 15″ MacBook Pro value equation, Dan Knight, Mac Musings, 2009.06.11. With an entry-level 15″ MacBook Pro selling for $1,699, the midrange MacBook Pro line seems poised to take off. Hackintosh Dell Mini worth it?, smallest external notebook drive, troubleshooting your ‘Book, and more, The ‘Book Review, 2009.05.26. Also Apple’s ‘student rugged’ netbook from 1997, reviving a ‘Book that won’t power up, some trackpad options missing on 10.5.7, bargain ‘Books from $179 to $2,290, and more. Apple netbook rumors, two Hackintosh netbooks, 17″ MacBook Pro reviewed, and more, The ‘Book Review, 2009.03.13. Also why Apple needs an $800 MacBook, graphics issues, OLED coming to touchscreen Mac netbook?, bargain ‘Books from $170 to $2,999, and more. The Unibody MacBook, MacBook Pro sound problems, welcome to Macintel, and more, Charles W Moore, Miscellaneous Ramblings, 2009.02.11. Also the joys of using a small Intel iMac with a big external display and issues with 1 GB of RAM in the Pismo PowerBook. Apple’s notebook shift, loose hinge on Unibody MacBook Pro, MBP video issues, and more, The ‘Book Review, 2009.01.30. Also glossy displays too reflective, an SSD tailored for the MacBook Air, the netbook ‘problem’, beautiful Unibody MacBook, bargain ‘Books from $170 to $2,299, and more. $999 MacBook goes Nvidia, MacBook sales up 34%, MacBooks overpriced (or not), and more, The ‘Book Review, 2009.01.23. Also 15″ MacBook Air rumors, Apple dual-link DVI adapter incompatible with non-Apple monitors, MatteBook upgrade for 15″ MacBook Pro, bargain ‘Books from $170 to $2,299, and more. OS X on netbook guide, fast Intel X25-M SSD benchmarked, Woz joins Axiotron board, and more, The ‘Book Review, 2008.12.24. Also multi-touch trackpad update for Boot Camp, Nvidia’s ‘Intel-thrashing’ netbook GPU, Toshiba launches first 512 GB SSD, bargain ‘Books from $170 to $2,299, and more. MacBook, MacBook Pro, and MacBook Air teething problems and firmware updates, The ‘Book Review, 2008.12.16. Also Apple notebooks strong in weak market, CoolBook controls CPU frequency and voltage for cooler running, Logitech’s new Comfort lapdesk, bargain ‘Books from $500 to $2,299, and more. No high definition iTunes video for you, Dan Knight, Mac Musings, 2008.11.19. The October 2008 MacBooks are preventing users from viewing some high-def iTunes content from being viewed on their external displays. Poor form! OS X netbook not from Apple, one-third of notebook buyers leaning to Apple, Spaces made for ‘Books, and more, The ‘Book Review, 2008.11.14. Also Apple’s ‘special deals’ site, good-bye to a faithful TiBook, bent Unibody MacBook Pro, 10 hour battery for MacBook Pro, 6 GB RAM solutions and benchmarks, bargain ‘Books from $480 to $2,399, and more. Recent MacBooks support 6 GB of RAM, USB 2.0 faster in Unibody ‘Books, graphics shootouts, and more, The ‘Book Review, 2008.11.07. Also FireWire-to-USB, workaround for glossy screens, 3G MacBooks planned, checkpoint-friendly bags for new MacBooks, bargain ‘Books from $480 to $2,399, and more. MacBook Pro could use both GPUs at once, 9600M GT smokes 9400M for 3D gaming, new cases, and more, The ‘Book Review, 2008.10.31. Also MacBook Pro doesn’t support 8 GB of RAM, matte screen petition, spill sensors in new ‘Books, MacBook Pro reviews, hard drive vs. SSD benchmarks, bargain ‘Books from $259 to $2,399, and more. Apple more green, new MacBook details, FireWire on MacBook petition, benchmarks, and more, The ‘Book Review, 2008.10.28. Also Nvidia controller inside new ‘Books, death of matte displays, MacBook Pro distorted video service program, bargain ‘Books from $259 to $2,399, and more.